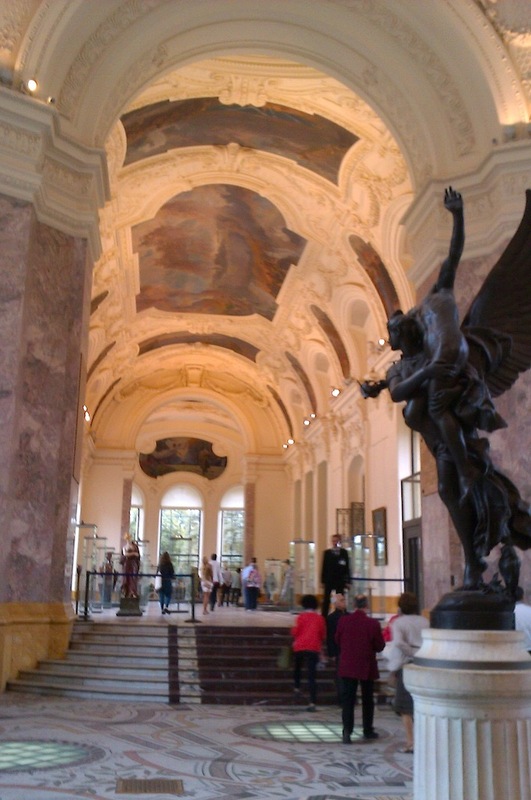 Gallery in the Petit Palais. Wonky photography courtesy of yours truly on my mobile. When you live in a tourist-centred city it is easy to miss out on much that city has to offer. “I can always do that another time” is the best friend of laziness. Becoming a tour guide has really made me examine Paris through new, fresh eyes and I wish I had done so much more in the nearly 3 years that I have lived here. Having friends to visit helps to rectify this though. Last month we had a visitor over from ‘le Yorkshire’ and she and I decided to check out the Georges Braque exhibition at the Grand Palais. Posted in Reviews and tagged Arts, Belle Époque, Grand Palais, History, Museums, Paris, Petit Palais, Pierre Bonnard, Tourism. Bookmark the permalink.